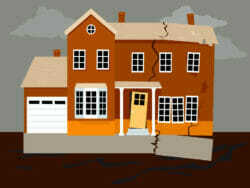 Home » Interior » Garage » Patched Holes in Garage Floor: Structural Issues Or For Pest Control Treatment? 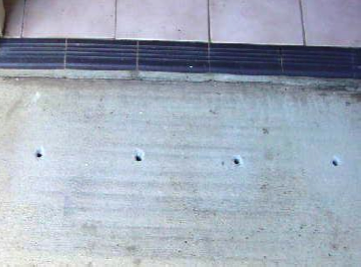 Holes cored or drilled into a concrete garage floor may be there due to “Slabjacking”, testing the slab for structural strength or for subterranean termite treatment. Note that the size and location of the holes are important, for they may be a warning sign. 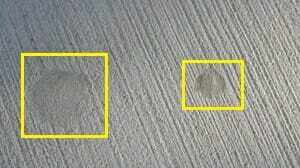 When one sees these holes , it may be because there was a structural problem with the slab or that there was some form of investigation done regarding the concretes’ strength or reinforcement. In many construction lawsuits part of the litigation involves the strength of the concrete, the thickness of the concrete and the reinforcement in the concrete. In order to determine the answers to questions on these subjects, it is not unusual for holes to be cored (or sections of the slab to be saw cut out) and the samples sent to a concrete testing laboratory. 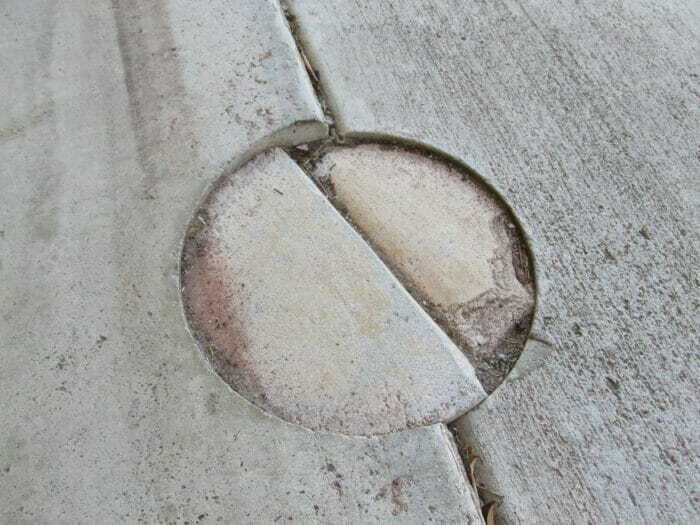 One of the more common reasons that you may see a round hole that has been cored into the concrete is that someone wanted to conduct a test of the concrete for compressive strength. In residential construction engineers will often call out for a concrete slab to have a compressive strength ranging between 2,000 and 3,500 psi, depending on the load it is caring as well as other factors. In a few instances the concrete contractor or builder may have used concrete that didn’t have enough cement in it to make it as strong as necessary. The less cement in concrete, the less expensive it is; therefore a few contractors will reduce the cement content to save money. Occasionally, other things may have happened, i.e. too much water was put into the concrete when they were pouring it and the additional water weakened the concrete. 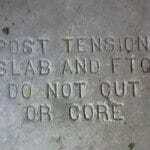 Another reason for coring a slab is to see how thick the concrete is. Again the contractor may have poured the concrete only 4 and 1/2 inches thick when he was supposed to pour it 6 inches thick. By coring samples, which are usually about 3 or 4 inches in diameter, it is easy to determine the depth of the concrete. Obtaining a cored sample will help determine if there is reinforcement in the concrete, i.e steel rebar. Engineers may want to know what size the rebar is and its position in the slab as well as how far apart the rebar pieces are. Generally to determine this they will cut out a larger section of concrete rather than core a hole, however if they have a small area and they know the precise spot they want to check, then they may core that area. Mudjacking, sometimes called slabjacking or pressure grouting, is the lifting of a concrete slab or foundation, usually slabs, by pumping a concrete grout slurry under high pressure, beneath the existing concrete. Evidence of mudjacking is usually a group of holes around 1 5/8 inch to 2 inches in diameter. They are often in a pattern of some sort and about 3 feet apart. If a Polyurethane foam is used in place of a slurry mix, then the holes may be smaller, about 5/8 diameter, but still in a pattern. 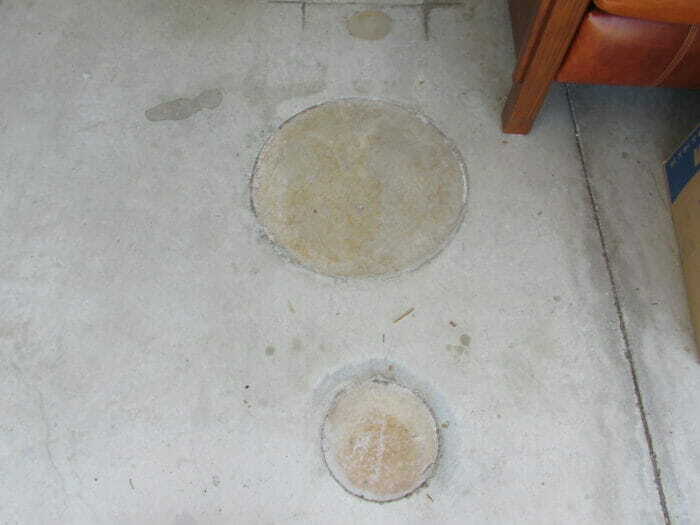 The most common places to see these holes are in basements or garage floors. Once the grout has been pumped through these holes, the holes are then finished off with a trowel or patched if necessary. 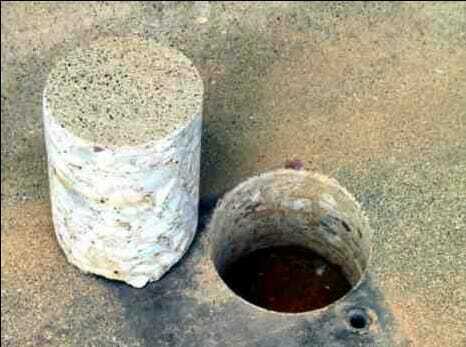 When there are subterranean termites, pest control companies may drill holes in concrete slabs so as to get chemicals into the soil under the slab to eradicate the termites. 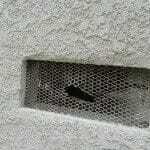 The holes may be 3/8 to 5/8 inch in diameter and about 12 inches apart +/-; then they are sealed with mortar, caulking or capped off with plastic plugs. 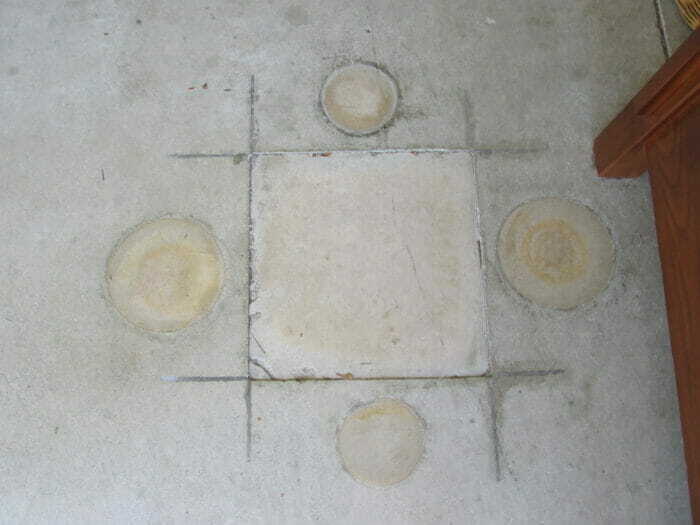 These treatment holes are often observed on the exterior perimeter of homes, where there are concrete walks or patios or they may be observed on an interior slab, such as the garage floor. If there has been slabjacking there is a fair chance that there were or is structural issues. 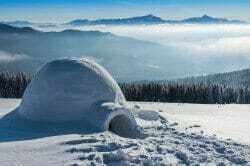 When could there be structural concerns? 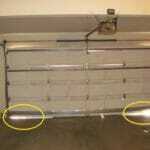 There are a number of things that a buyer or an agent may want to check on when a garage floor has been cored or saw cut. Naturally the first question is why? 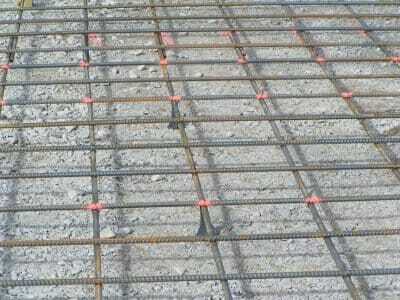 If the purpose of the cored holes was to test the strength of the concrete, check the depth of the concrete or check the steel reinforcement; why did anyone want to do it? Is the home or slab settling? Has the foundation shifted or is it cracked? Are the floors of the home level? Does the roof sag or is it wavy? Do any of the doors or windows stick or rub badly? Is the soil in the area stable? If the answer to some of the above questions is yes, then there may be a relationship between the slabjacking or the coring. The existence of holes in a slab doesn’t mean that there is a problem or was a problem, for after the coring and testing, everything might of been fine; that the slab had no problems. That is why there should be more questions asked by a buyer or agent, once they see the holes in order to determine if all is fine. In construction defect legal cases it is common to do testing and coring of concrete to prove or disprove a problem with the concrete; therefore it is important to get all the facts first and not jump to any conclusions. 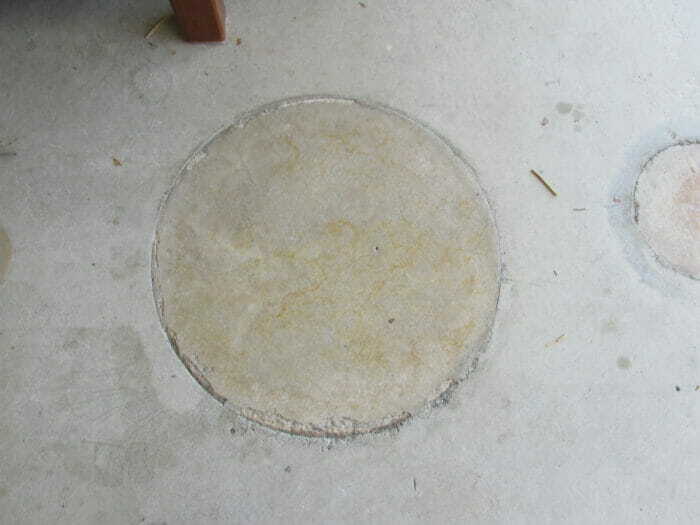 How to tell if my garage floor is a “Post tension slab”. What causes a gap under the corner of my garage door? Is it structural? 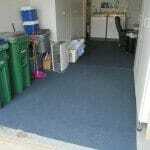 Does the white powdery or chalking stuff on my garage floor cause damage? Should I worry about the cracks in my ceiling? 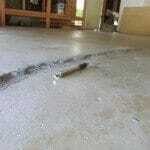 Cracks in my garage floor; when do they become serious?